We created this blog to be closer to our customers, partners and those who are just interested in our company. Here we describe our way of life and own interesting projects. Sometimes a picture passes wishes better than any words. The very event! We wish you Happy New Year! We always support ones, who helps us to do business wider and better. Manufacturers of the molding equipment are our best friends. Today we are glad to introduce foundry community Indian company COMPAX, producing core-box machines for the cold-box-amine and hot-box processes. There is very interesting value-for-money ratio. We traditionally took part in Chelyabinsk Foundry Concillium-2018. 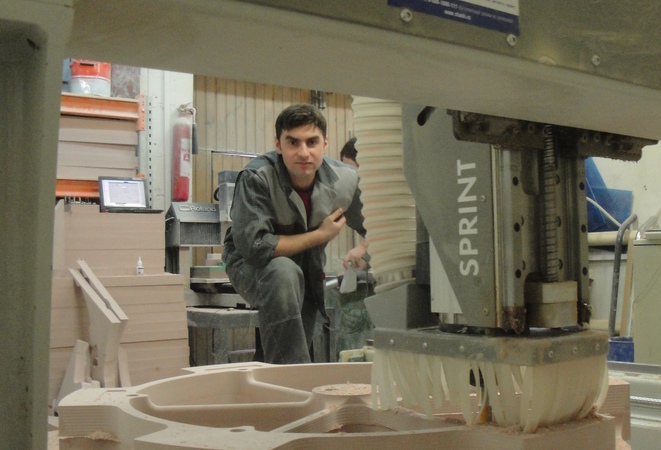 The main feature of this event became the foundry mastership competition. Our company was one of the sponsors. It is our fair share of contribution in development of employees’ professionalism in foundry sphere. And our personnel, of course. 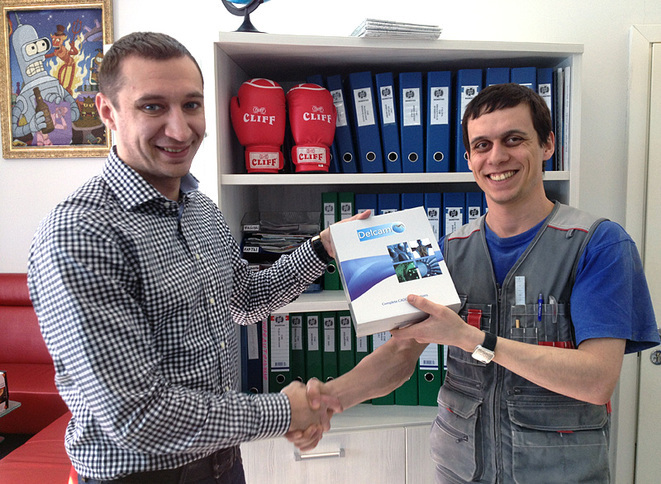 Thus, our design engineer Alexey Shlykov (on the right) successfully took on the role of juryman of this competition. Dear customers of the company Ingetech! 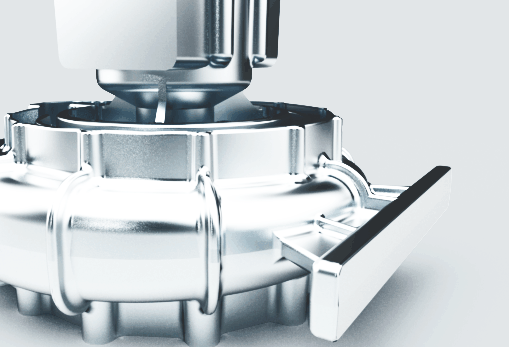 Based on two claims we have identified the defects of our trunnion supplier – heat treatment for the first pre-production series was not performed. There are might be some possible hidden defects such as cracks on trunnions’ necks. 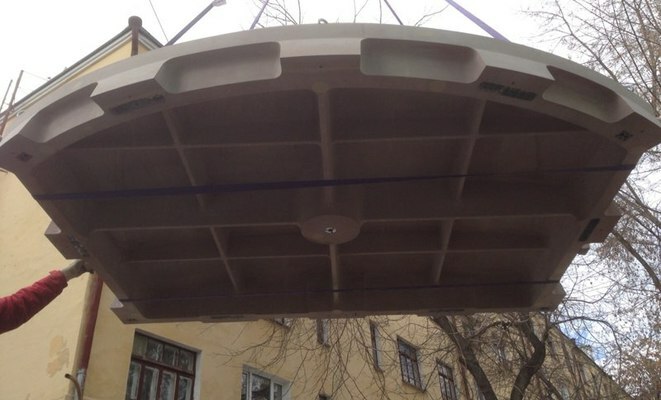 Because these technological units are important constructional parts, which could affect safety during transportation process, it is necessary to inspect and replace on qualified ones in the shortest terms. We carry about your safety! If the nameplates of the equipment produced in INGETECH, contain the delivery date from 05/2017 to 11/2017 and trunnions with our logo are 120*120*112 mm in size, please, contact us at info@ingetech.ru to determine the size and procedure for trunnions replace. Of course, the replacement procedure will be free for you. We apologize for possible troubles in relation to the recall and we hope for your understanding! Best regards, Director of Ingetech ltd, Yekaterinburg Sergey Bogushevich. 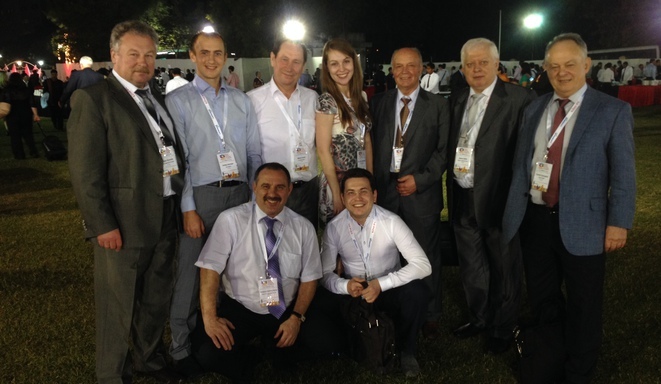 The delegation of the Russian Foundry Association attended the exhibition ANKIROS-ANNOFER-TURKCAST-2018 in Istanbul. The scale of the event enormously surpasses our annual Moscow LITMASH. The number of equipment and materials, participating countries, the number of foundry companies with a large variety of castings. Everything is multiply larger and visual than we do! I am hurt for my country! It seems that according to statistics, the volume of foundry in Russia is higher than in Turkey; however, the expo gives the opposite impression. Do not know how to trade or consciously do not announce ourselves, sitting in our niches? Is the price of Moscow stands too high or traditional slovenliness? Will it ever be different and when? Within the framework of the search for a customer manager, one good person served an internship in the company, with whom, unfortunately, we could not agree about further cooperation as a member of the team.However, we keep friends.That is why there will not be his contact details - take my word for it. His feedback about pastime is interesting. The style and manner of presentation were not adjusted, in order to pass his view better. “Wins fast, not “fat”. 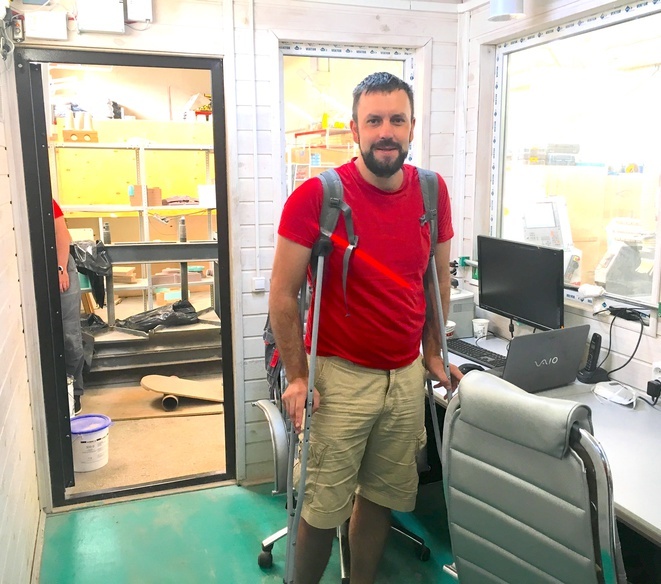 As part of an internship at Ingetech, I discovered a non-standard business approach based on the following aspects: Human relations to people. There are no business units, no buyers, and no suppliers in the literal sense of the word, but there are relationships that build up openly and honestly. Each employee at any time can address or call to the director, make a suggestion and they will be immediately considered, and a decision made.Customers, employees, suppliers, partners are friends and colleagues with whom they discuss not only working moments, but also very personal things. Product manufacture system, based on many years of experience, was built.Each employee, participating in the project, can find out at what stage the production is, what changes have been made, what needs to be done to effectively complete the cycle. There is no need for meetings that take a lot of time and often are not effective. "Transparent", open scheme of work with counterparties, based on mutual assistance and supportiveness. If you contact to Ingetech out of beat, they always advise with whom you can contact, what can be done. 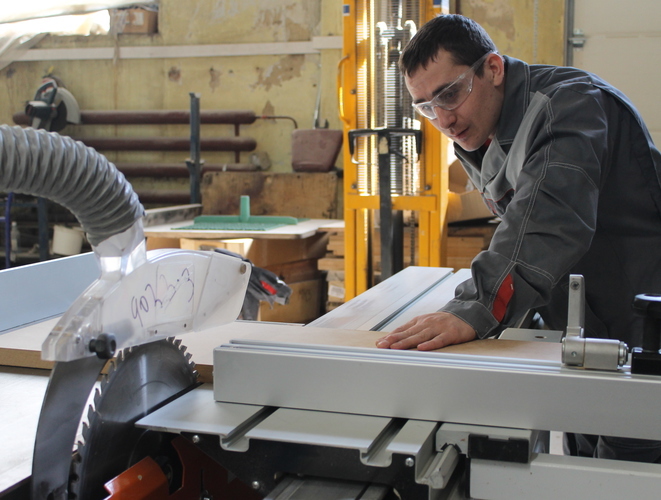 When there are complex tasks, partners of Ingetech come to help them. 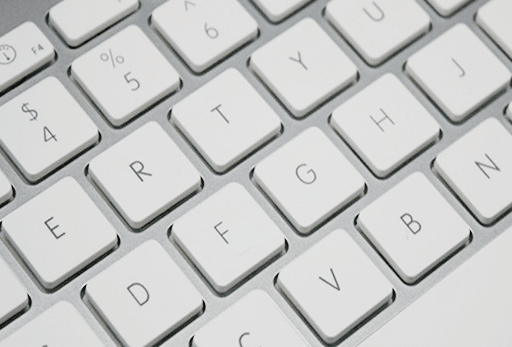 The main and key aspect that is put at the forefront is the unconditional quality of products. How scrupulously each element of the product is made, sometimes it seems superfluous, but this is Ingetech. The desire to obtain products of the highest quality, while working extremely to reduce the cost of the product and move beyond. In a difficult economic situation in the country, the leader will be the company that does a "transparent" business, has great experience and can quickly, without bureaucratic acrimony, restructure itself under the current situation.” This team needs a talented manager with foundry experience. CVs are accepted at sb@ingetech.ru. 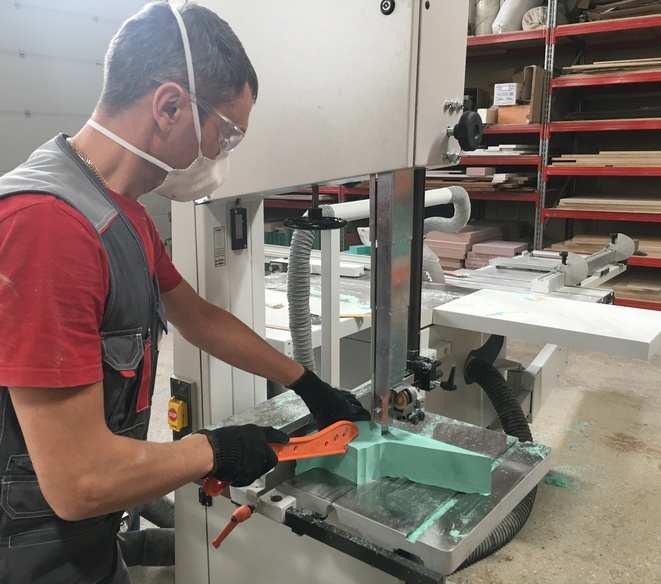 Our common efforts were not for nothing – our partners Uralchimplast-Hüttenes-Albertus have released a new wash solution for resin removing from mixers, models and core boxes. For further details - http://ucp-ha.ru/news/802/. Do not thank - to improve life is our mission. Meeting Place and Time Can't Be Changed, Can They? Looking forward to seeing you at the 11thFoundry Concilium due to take place in Chelyabinsk on December 6-7 It is by now a good tradition for NPP Group to organize in Chelyabisk annual international conferences known as foundry conciliums in the capacity of general sponsor. After a year's hiatus, the 11thFoundry Concilium is set to take place on December 6-7. More than 200 chief executives, leading engineers and best metallurgists representing iron and steel foundries of Russia, CIS countries and Europe are due to have roundtables to discuss industry issues, share their knowledge, experience and expertise in such areas as charge preparation, refractory installation techniques and applications, graphite production and graphitization, melt analysis, QA/QC, refining, modification, carburization, and many others. This will be the first time that a professional skills contest among foundry workers will be held within the framework of a foundry conference. Besides exhibiting their metallurgical skills and knowledge, the contestants will also demonstrate the capabilities of their foundries. They will be required to complete tasks originating from real-life production situations, which will make it possible for the other participants in the conference to find more effective solutions to their top-priority problems and establish ties with new skilled and efficient partners. And of course, winners will receive precious awards and prizes from the sponsors of the 11thFoundry Concilium and recognition from the foundry community. Registration has already started at http://rsl.npp.ru/consult/lk11/lk11_8865.html Join in and go with the flow! Dear colleagues and partners! We want to congratulate you from the heart with your professional holiday! Model production is a small part of a large foundry industry. For the years of our work this holiday has become a family for us. We share problems of the industry together, in the successes - we participate. Day after day. Therefore, we wish you less problems and more success! Happy Metallurgist Day! Metallurgy-Litmash Russia 2018: Two trade fairs for metallurgy, foundry technology and castings in Moscow from 29th May to 1st June Metallurgy-Litmash – the two international trade fairs for metallurgical technology, metal products, foundry technology, accessories and castings – is one of the most important trading and contact platforms for the Russian market and the neighbouring countries. There is every reason for optimism in view of the general economic conditions. Gross fixed capital formation in Russia has been increasing again for three years now; up to the end of the third quarter of 2017, it amounted to EUR 149 billion and a forecast by GTAI (Germany Trade & Invest) indicates that growth ought to be continuing in the current calendar year too – by up to 3 per cent. 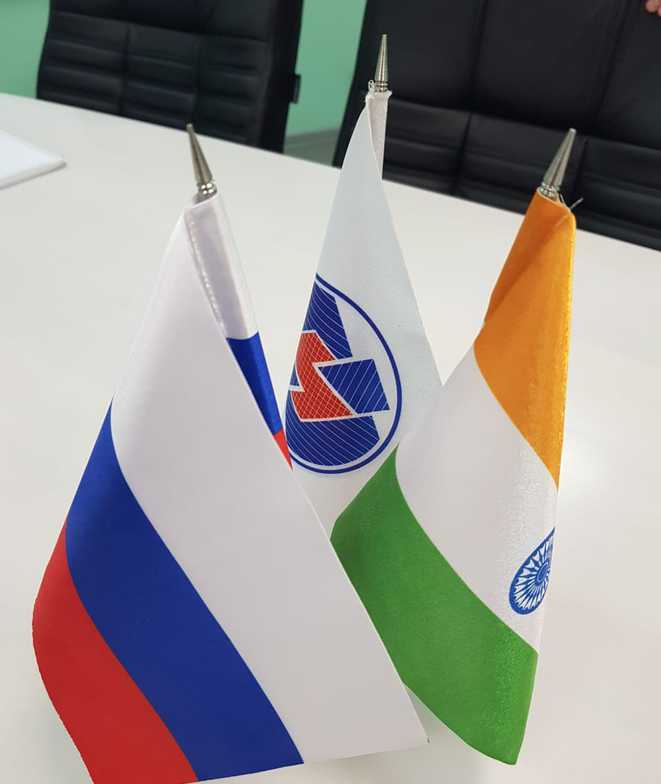 The industry is therefore extremely positive about the future and the Russian market. A total of about 60 companies from 12 different countries – including Germany, China, India, Italy and the USA – will be presenting technologies for metal in all its forms – from the obtainment of raw materials to the installation and maintenance of metallurgical equipment, fully networked process technology, foundry technology and castings – during the four days of these trade fairs. More photoes here. The international meeting of colleagues, initiated by our suppliers SIKA-AXSON, was held on the site of our company. 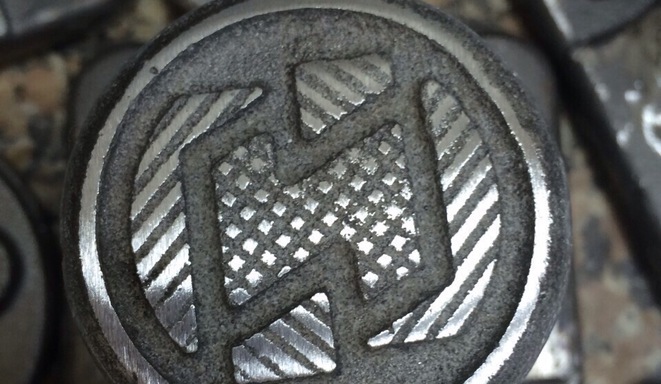 XIII International Congress of Foundrymen and exhibition were held in Chelyabinsk this year. Several photoes are attached. 5-8 June there was an Internation exhibition in Moscow. We took part in Litmash again as visitors. Several photoes are attached. We made two similar core boxes for Laempe core making machine. We are happy to help our clients in extension of their production. Happy new year, dear guests of our website! Its still our tradition to visit colleagues and give presents to their children. This year in a special team our design engineer Alexey SHlykov, student Jess Tsumbu and one pretty girl. It was 10 anniversary of foundry conference which usually are hold in Chelyabinsk. Such grand event couldn't stay without our attention. More than 200 participants, 10 round tables, mounting questions and useful meetings. We get ProCAST! 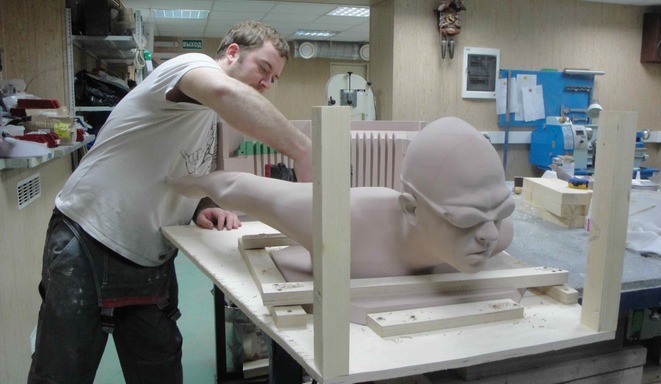 Now we can make computer casting simulation and analize the process for our clients. Chief engineer Alexander Prolubshchikov took part in seminar "How to make casting production more effective". 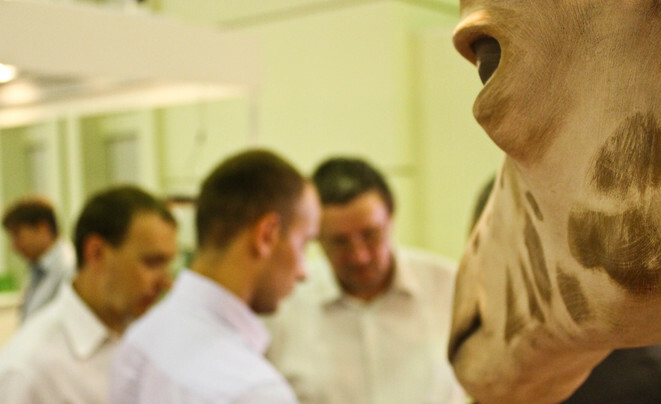 6-9 June there was an exhibition Metallurgy-Litmash in Moscow. This year Sergey Bogushevich and Andrey Iskortsev took part in this event as visitors but not exhibitors as usual. Several photoes are attached. Parts, made by our company, designed the exhibit rack of our partner at Composite expo 2016 in Moscow. On the photo there is a core box for the core machine MONO 35 (IMF). 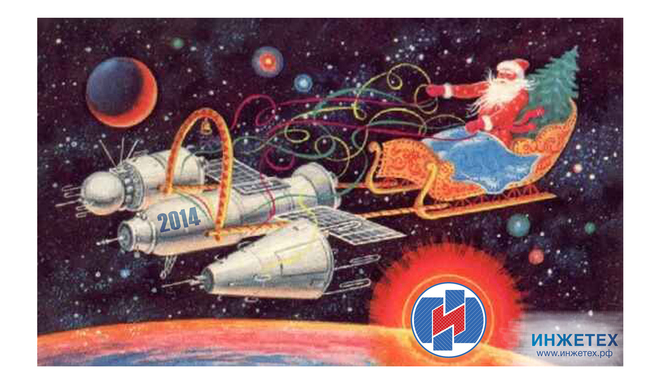 Ingetech's team wish you happinies, health, prosperity and accomplishment of desires! 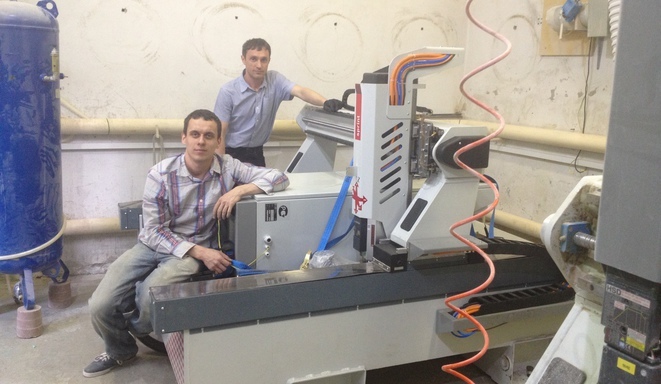 Sergey Bogushevich visited annual Foundry conference in Chelyabinsk on 10-11 December. He took part in round-table discussions on theme "Casting. The way to become a prduct". We are happy to meet new people and get long-term planning at such great events. Our company increased and we found a new place for our manufacture. It is bigger than the previous because of one more Sprint, office now is more convenient and larger. We advance ourselves to make our products better. Castings made with the help of our patterns were exhibited on the booth of our clients "UMZ" Ltd. at Russian Expo Arms in Nizhii Tagil 9-12 September. On the photo (from the left side to the right) Sergey Bogushevich, Ivan Dibrov - President of Russian Assosiation of Foundrymen, and Valeriy Shantsev - governor of Nizhniy Novgorod on the exhibition Casting 2015. Details you can see below. Last week our representatives visited the greatest exhibition in foundry industry, which was held in Dusseldorf. 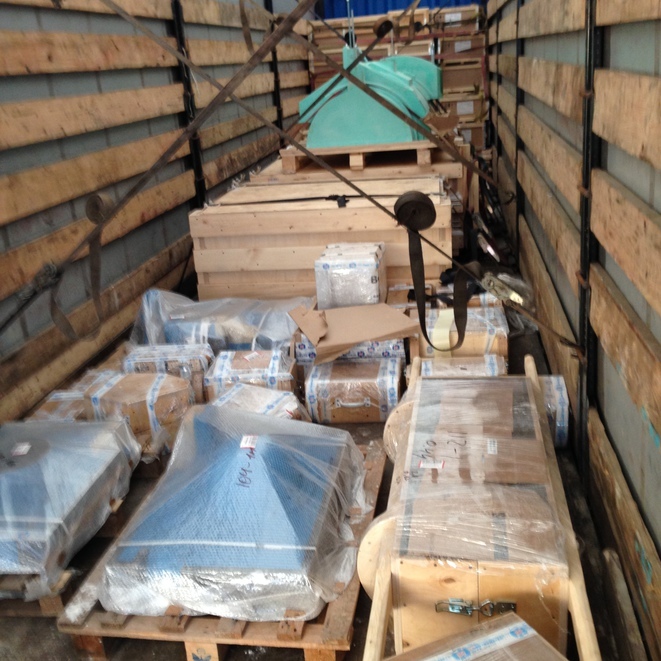 Quartet of GIFA, METEC, THERMPROCESS and NEWCAST is carried once in 4 years. This year 78 000 visitors from 120 countries meet with 2 214 exhibitors in 11 halls of Messe Dusseldorf. This event is the best place for acquaintance with innovations of metallurgy industry, broadening of our's professional outlook and improvement of skills. And we always making a bid for our deal better! Our article become a perfect addition on the booth of Lasso company at exhibition in Moscow. 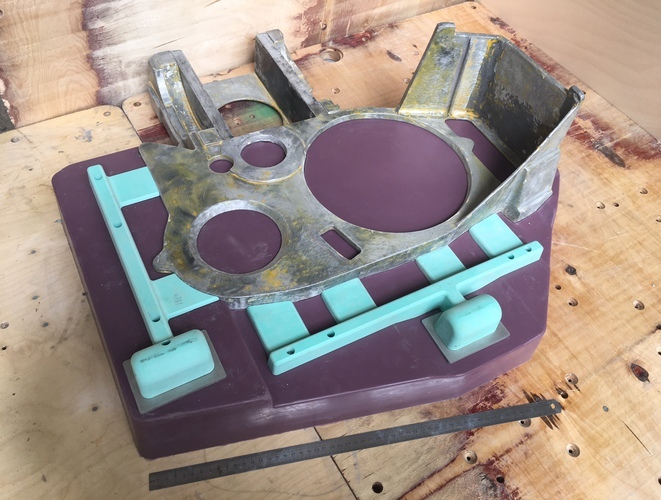 On the photo you can see the item designed and produces by our team from material Necuron (brown coloured block) and parts made from the rubber with the held of this mold. This month three of our colleagues got offisial confirmation about improvement of their professional skills. 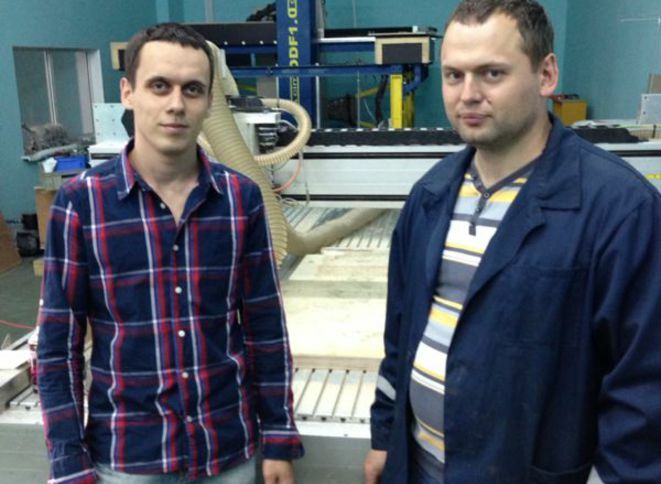 Two of them - Dima Khomutov (on the left side of the photo) and Tolya Zotov (on the right side) took their master's degree, and Vlad Mytskiy became an engineer. 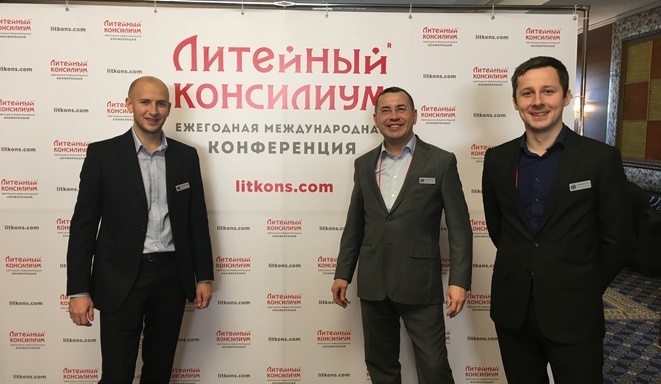 On previous week our company took part in exhibition Litmash 2015 in Moscow. At the booth of our partner "BMP Technology" we represented our technologic and engineering advances, we made a judicious selection of materials, and result - the casting. 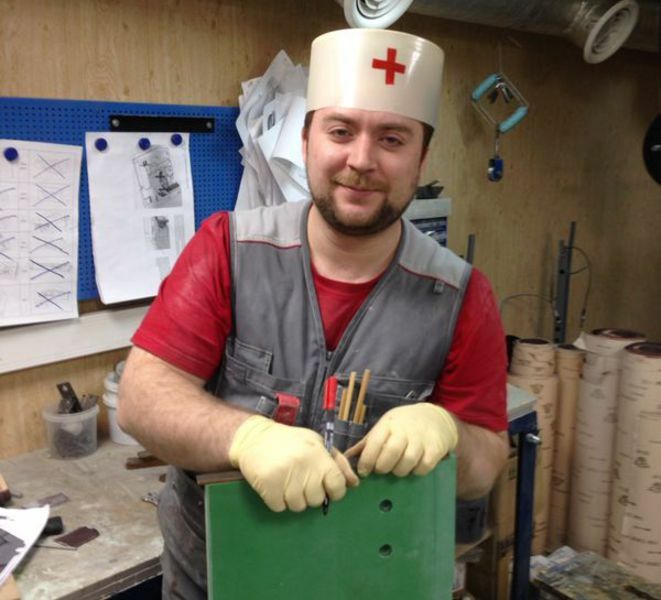 The casting and support was granted by our friend and partner "Litmashdetal". 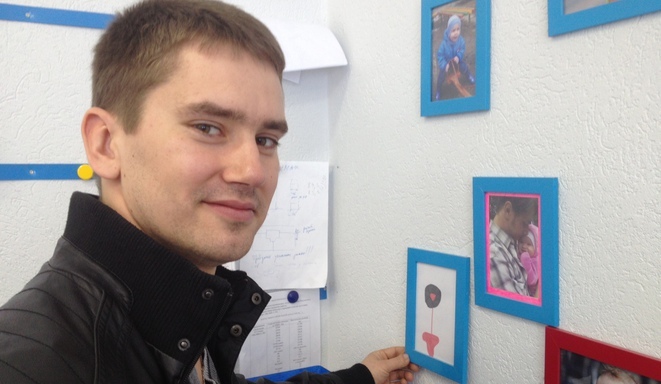 We have one good tradition: every new year's eve we congratulate our colleagues' children. 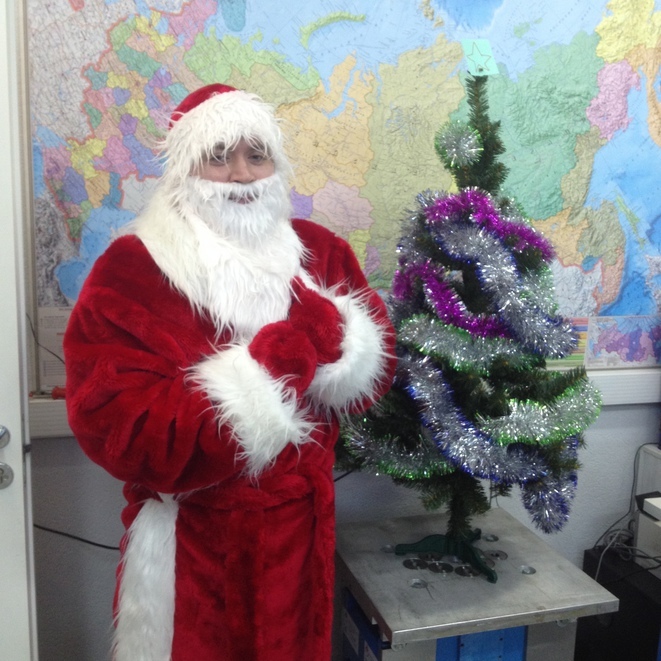 This time our technologist visited them with a big bag of presents. 8-th Foundry Conference took place in Chelyabinsk on 4-5 December. This year it was called "Casting mold. Perfection of the mold is the way to success". Every year this international conference takes on special significance. 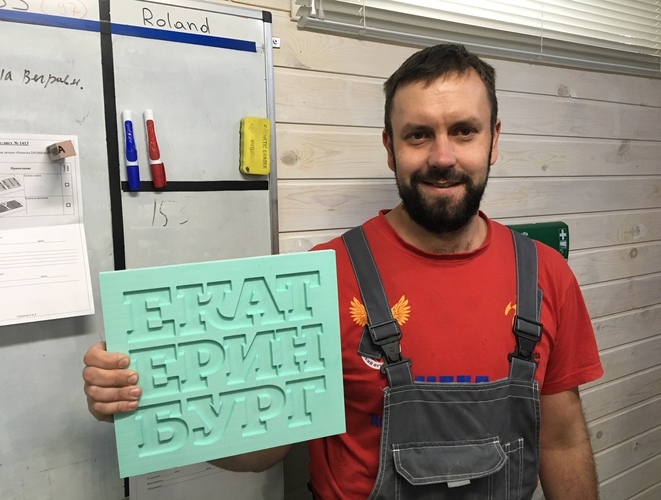 Article in the magazine "Russian Foundryman"
In october's issue of the magazine there is an article one of the authors of which is Sergey Bogushevich. The article which name is "Analisys of mastering the series manufacturing of large sealed aluminium castings" opens this number of the magazine deservedly. Brief summary of the article is attached. This week we have finished a large-scale project. 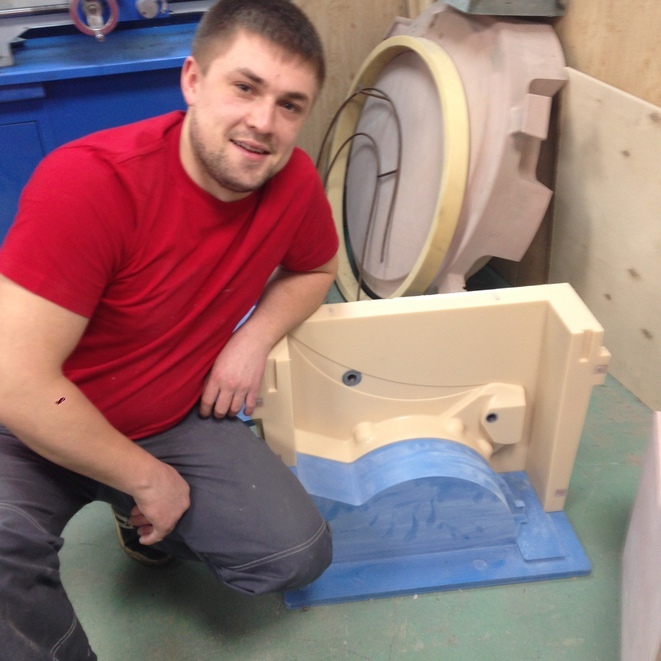 We have manufactured and shipped patter equipment for casting one of the most difficult parts - transmission case. For us it is the third project of a similar nature this year. 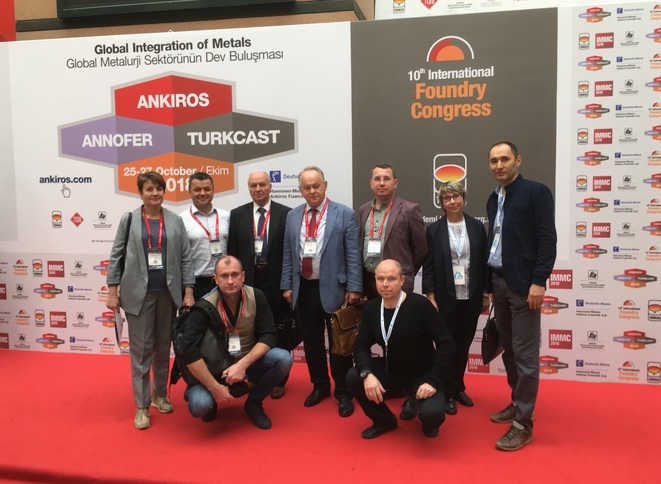 Representatives of our company on the delegation of foundrymen have visited the International Foundry Fair FOND-EX which is traditionally held in Brno (the Czech Republic) since 1972. Members of our company accompanied with the Russian Assosiation of Foundrymen took part in the 12th International Iron-steel and Foundry Tehnology, Machinery and Products Trade Fair Ankiros/Annofer/Turcast 2014 which is usually hold ones in two years in Istanbul. 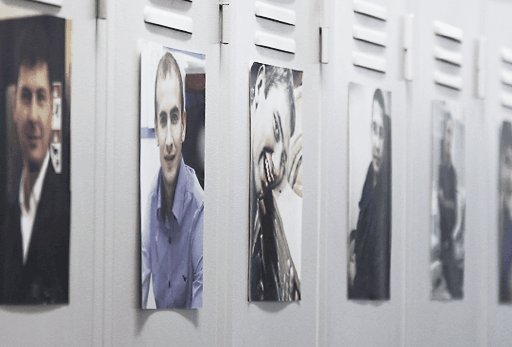 Some photoes are enclosed. We are broadening the scope of our products. 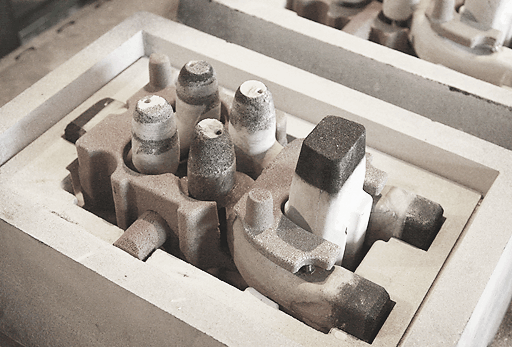 Recently we have finished the production of mold for casting concrete. Details you can find here. 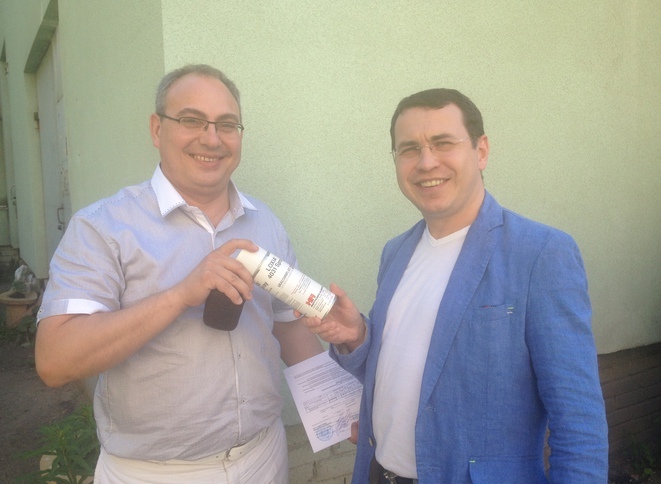 11-13 August Sergey Bogushevich and Andrey Iskortsev took part in regional theoretical and practical conference in Gubkin, Belgorod region. Photoes are attached. Non-standard project for our company. Mold for silicone form for making souvenir chocolate. Photoes are attached. Last week three of our technologists took a special training in advanced study of PowerMILL Pro, which is provided by the company "Delcam-Ural". Our vacation has come to the end. So we are working at our full capacity. Traditionally all members of our company go on leave at the same time. From 30 June to 20 July nobody will work in our company. Certainly our mobile phones will be availble but be careful they could be in roaming. We hope we can rely on your understanding and plan our joint operation according to foregoing. We are going to take part in Litmash-2014 exhibition in Moscow from 3 to 6 June. You have an opportunity to see exhibits made by our company on the stand of BMP-Technology. We would be happy to meet with our partners and potential clients in this period in case of planning the schedule in advance. Contacts of our representatives on this exhibition - Sergey Bogushevich and Andrew Iskortsev here. We seldom change contracting parties. We used to work with our partners seriously and for a long time. The quality of our mobile connection was not so good lately. As a result of a difficult fighting for the good communication we change our cellular operator. Telephone numbers remain the same. We hope it will help us to be always in touch with our partners. Pending the column of advertising of our clients we are presenting "Jugor" Ltd.
"Jugor" company has been manufacturing products for accomplishment of city areas for 25 years. Moulds for production of cast-iron benches, fences, refuce bins and some other small architectural forms were made by our staff with love. 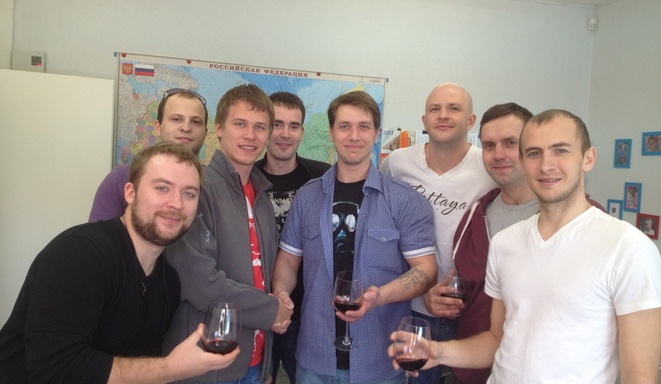 This weekend team of "Ingetech" with friends of the company celebrated the Birthday of the firm. Some photoes are enclosed. 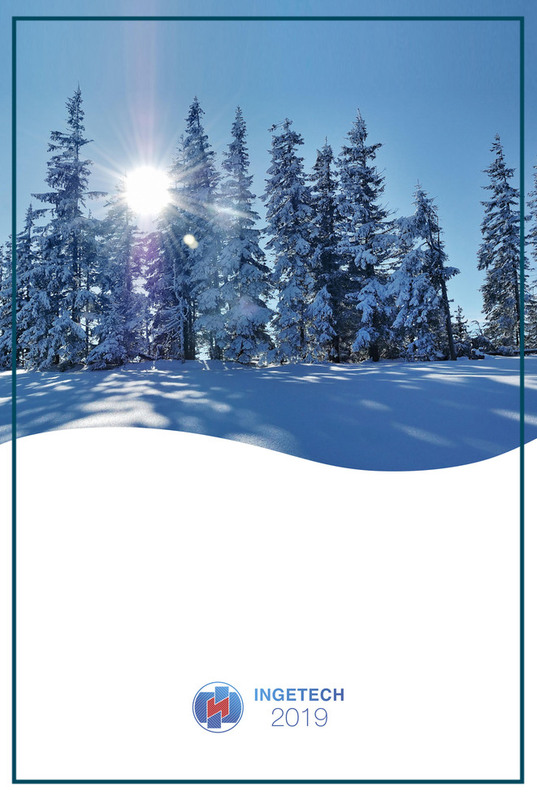 We sincerely wish you a Happy New Year and Merry Christmas! We wish to achieve your goals, increase your profits and expand personal and professional horizons! Let's live and efficiently work together in the new 2014! 5-6/12/2013. Traditional Foundry Consilium took place in Chelyabinsk. We participated in this event. Post-release here. We held a joint workshop "Materials and equipment for the foundry industry" with friendly company "Uralchimplast-Hyuttenes-Albertus". "Electronic mechanical engineering" department-basic school for our company celebrates its 50th anniversary. Congratulations! We got a brief photo report from our Czech friends about "swimming" of our swimmer at European exhibitions. Our three-week vacation is over. From today, we are working normally. Thank you for your patience and understanding to everyone who was waiting for us. 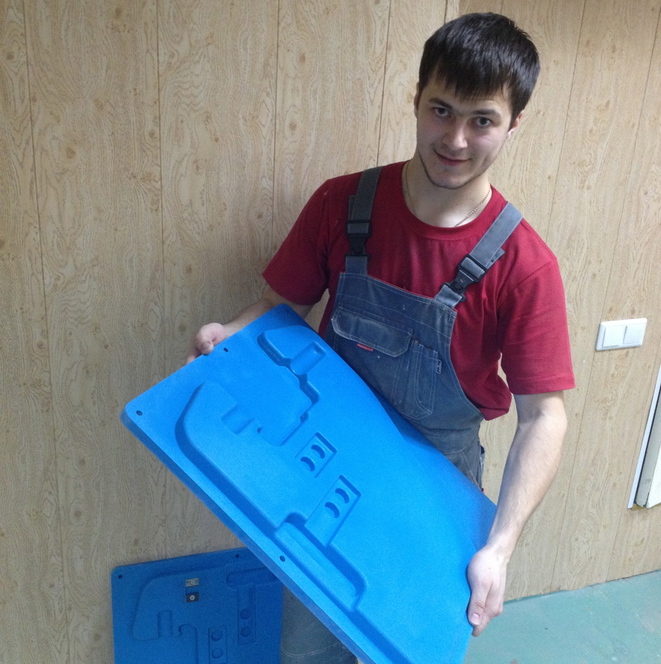 Our customer Maxim Zinkin posted a photo with the results of our labor on his website. !ATTENTION! Our company is on vacation from 22 July to 11 August 2013. We accumulate our energies and thoughts. Most of our cell phones are likely to be not available. Dear customers, we hope for your understanding and, please, plan to work with our company on the basis of the foregoing. We will work from 12 August 2013 as usual. We are participating in the exhibition LITMASH 2013 in "Expocentre" in the Hall 3 in Moscow in 24-28 June. Examples of our production will be posted on the stands of companies - BMP-Chemical, Uralhimplast-Huettenes-Albertus, Delcam-Ural, Lasso. 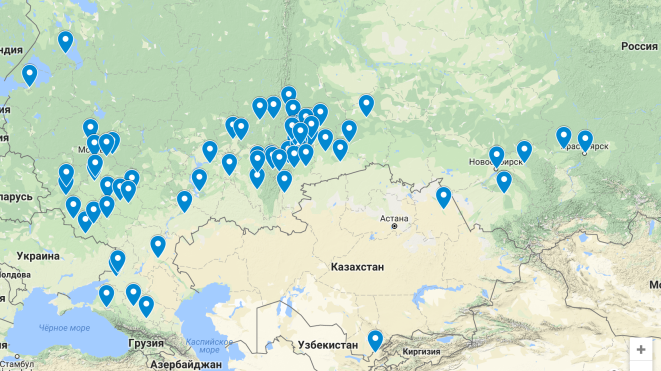 We will be happy to meet our current and potential partners and customers, who do not have desire to travel to Ekaterinburg. Thank you in advance for providing a schedule of meetings for a harmonious stay in Moscow and to give everyone enough time. 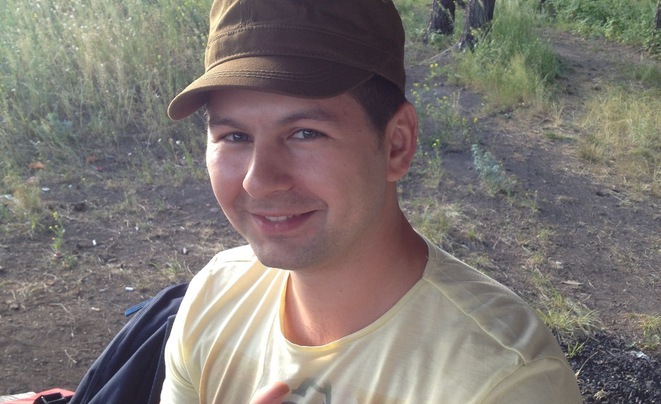 Contacts of Sergey Bogushevich and Andrey Iskortsev are here. Photo report about the business trip to Germany. 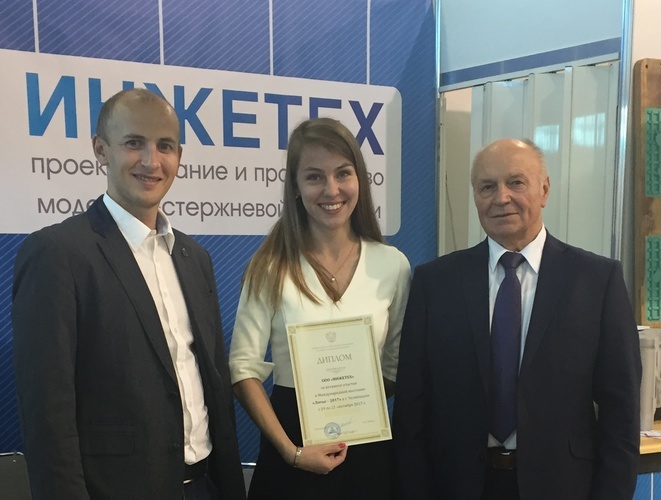 Director of company INGETECH Sergey Bogushevich took part in a business trip to Germany, which organize by the Russian Association of Сasters together with "Uralhimplast - Huettenes-Albertus." We took part in the Conference RAC HTS-2013 in the Tula and Caster's seminar on Ural Chamber of Commerce in Ekaterinburg in May. Russian Association of Casters (RAC) jointly with regional office RAL in Tula held conference XTC - 2013 in the city of Tula from 13 to 16 of May 2013. 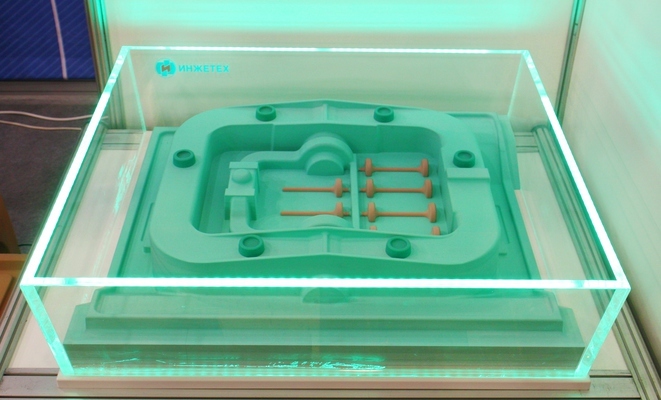 At the conference were considered questions about the equipment, materials and technologies produce models and cores made ​of chemically-hardening mixtures for the production of castings of ferrous and non-ferrous alloys. 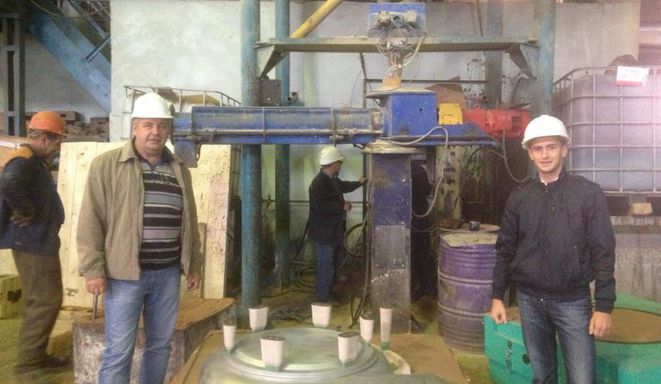 The participants visited foundries of Tula region. 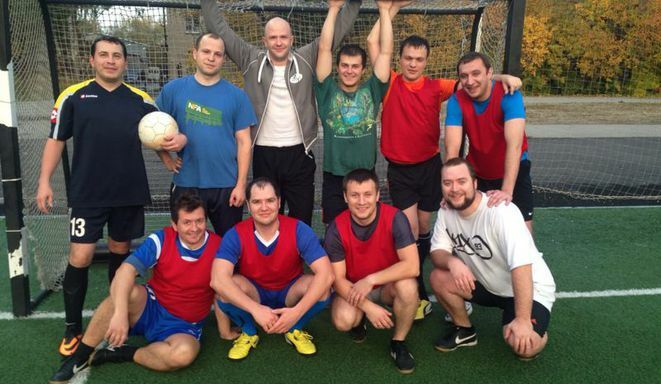 Our friend and client Nurmagomed Jafarov (JSC "Litmashdetal") participated in the weekly football game INGETECH team. In the morning we agreed on a new model equipment and in the evening had sporting success. We want to say a few kind words about Litmashdetal. This company constantly presents us with an interesting difficult taskes, management is not afraid to take on the most complex castings, thinks much of quality, accurately and responsibly fulfills its obligations to its partners, the list of which we find ourselves. There is an idea to advertise for our dear customers. Is one condition - a site with photos or video products with our work. New section have open in the blog. We guarantee our good words and an advertising link. Free of charge. Benefits of our clients have benefited us. First let it be our old client "Porcelain of Sysert." 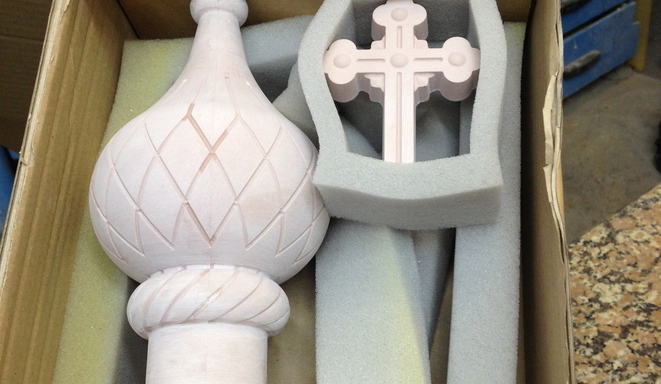 Production of unique porcelain iconostasis. Tooling for slip casting of most of these products http://farfor-sysert.ru/catalog-farforovyeikonostasy-izgotovlennyeikonostasy made ​​by us. For the factory laboratories - lightweight plastic molds for stress grading of sand in compression, tensile, bending and shear in accordance with GOST 23409.7-79 always available now.